Florida panther | Florida Hikes! A subspecies of cougar, the Florida panther has been making a slow but steady comeback in their stronghold in Big Cypress and the Everglades, with sightings of individual cats reported by hikers throughout the state in places as disparate as the Cross Florida Greenway and Osceola National Forest. 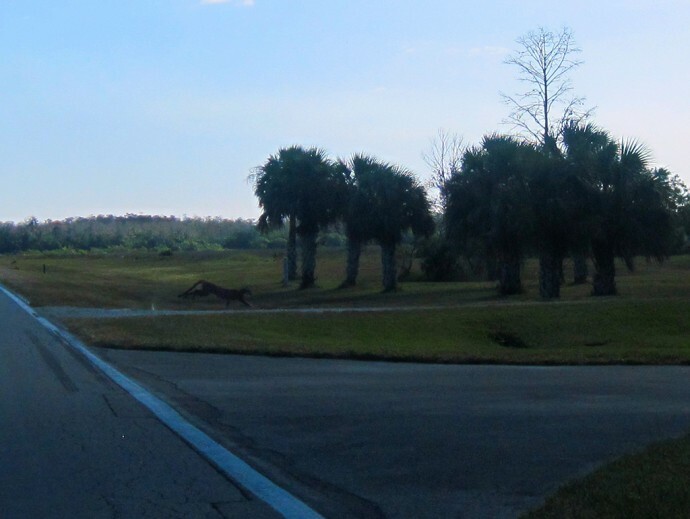 While wildlife officers won’t confirm that panthers have moved across the bulk of the Florida peninsula, a panther was killed a few years ago crossing Interstate 4 between Orlando and Tampa. Requiring vast spaces to roam and hunt, it’s no wonder that the growing population is dispersing. Although pioneer accounts of panther attacks can be hair-raising, no panther has caused harm to humans in modern times. If you see one, consider yourself fortunate. If you encounter an injured or dead panther, contact the U.S. Fish and Wildlife Service (941-353-8442) as quickly as possible with information on the animal’s location and condition.